The fRI Research Caribou Program has published results of seismic line research supported by PTAC. 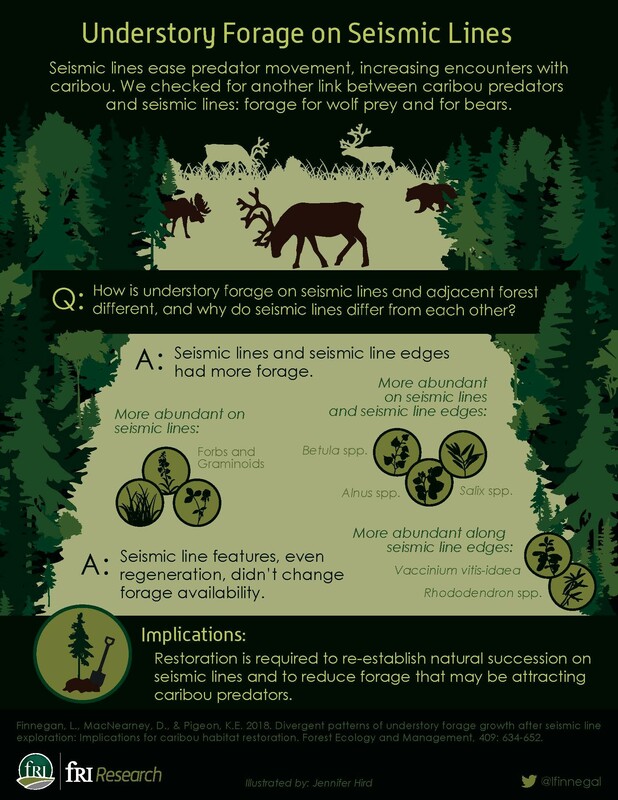 They found that many decades old legacy seismic lines are not regenerating towards the surrounding forest, but instead support lots of understory forage attractive to bears and moose, which in turn attract other predators. Active restoration may be required to remove this forage from the landscape. 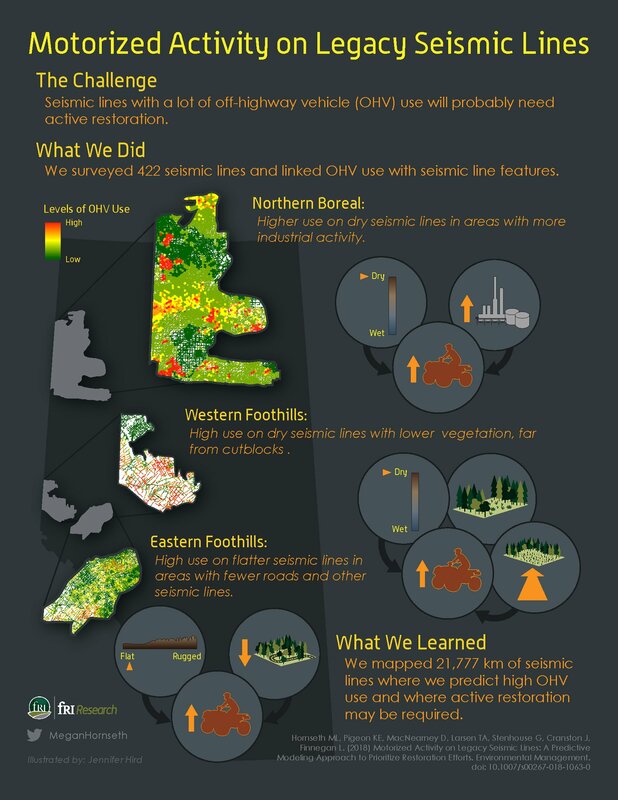 In a second paper, the Caribou Program identified which lines to target for restoration by mapping where high use of off highway vehicles may be destroying vegetation and compacting soil, preventing natural regeneration on legacy seismic lines.